En route to Standing Rock in North Dakota, Hereditary Chief Phil Lane Jr. visited the the AGAPE Center where he passed the Compassion Torch to esteemed members of their community. Among them were the incredible Reverend Michael Beckwith, musical icon Stevie Wonder, and thousands of youth. Each member stated their commitment to holding the light of compassion. The event can be viewed in the video below. 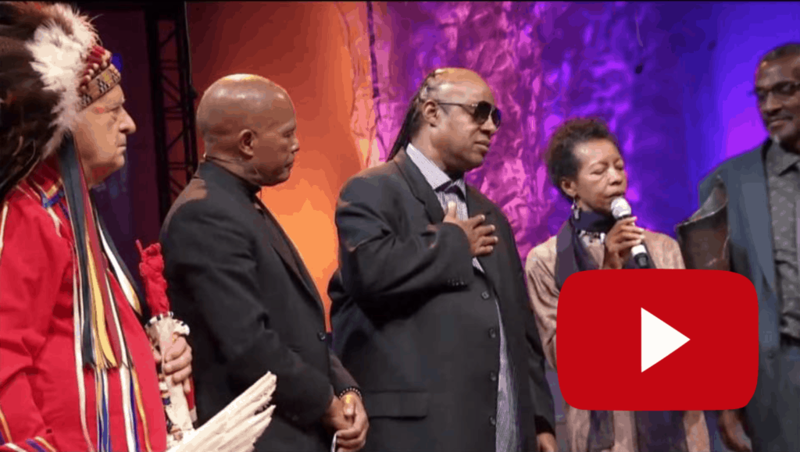 To Michael Beckwith, Stevie Wonder, and all members of the AGAPE International Spiritual Center, we offer our deeply heartfelt thanks. Your commitment to the being a beneficial presence on Mother Earth uplifts us all. You are truly all Champions of Compassion. 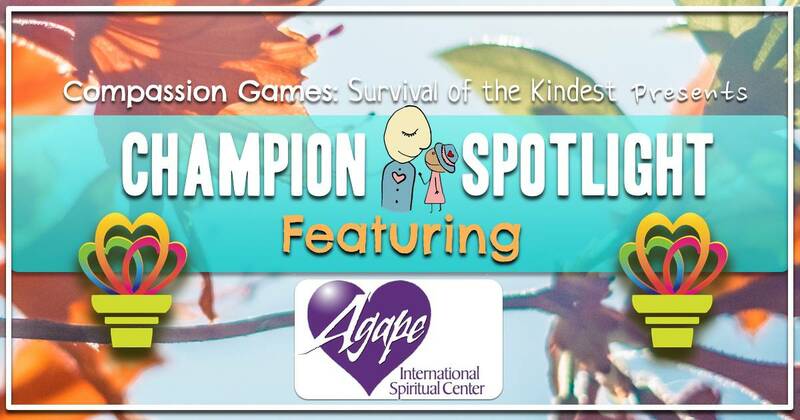 Learn more about the AGAPE International Spiritual Center here! 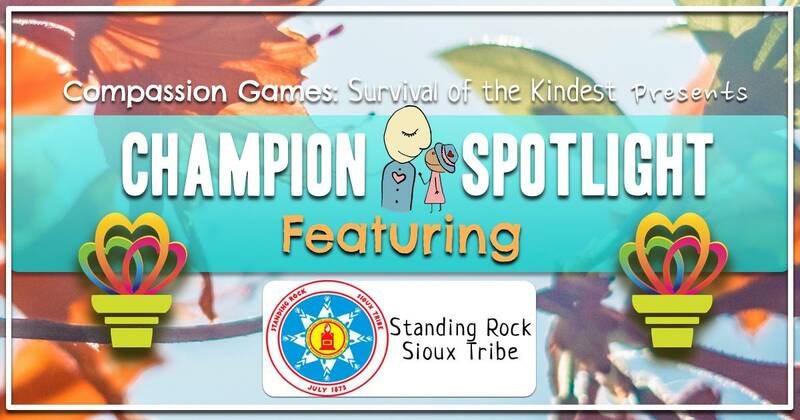 For Day 12, the final day of the Giving Games, we are profoundly humbled to pass the Compassion Torch from Gary Zukav, Linda Francis, and Seat of the Soul Institute to the honorable Oceti Sakowin, Standing Rock Sioux Tribe. The last 11 days have been a remarkable journey, made up of one act of compassion and generosity to the next from players and teams around the world, as well as from one Champion of Compassion, accepting the light of the Compassion Torch, to the next. Youth, Interfaith communities, and Indigenous Peoples have come to stand firmly together, to unify and say NO to the Dakota Access Pipeline, but even more so to say a resounding YES to a future that is sane and healthy, that has clean water to drink for all people. As this takes place, we can each begin to feel what the Standing Rock Sioux call “Wopida” (from the Dakota people) or “Wopila” (from the Lakota people) in our hearts and prayers. And so it is time for us to come together, to Build a Global Fire of the human spirit, and unite in a Global Wopida Ceremony together! Wopida is a word with profound, infinite, eternal meaning and transforming spiritual energy. The purpose of the December 10th Global Wopida Ceremony is to be thankful and grateful for whatever Life bestows on us, knowing that every test and challenge comes into our lives for our spiritual growth and upliftment. It is from the loving guidance of Indigenous leaders such as Chief Arvol Looking Horse, Faith Spotted Eagle, Sioux Chairman Dave Archambault II, Hereditary Chief Phil Lane Jr., and youth Indigenous leader Bobbie Jean Three Legs that the events at Standing Rock have resulted in a global movement, and have received global support. It is from the actions of water protectors arriving from around the world, comprised of over 300 Indigenous Nations, youth activists, interfaith communities, and even two thousand veterans, that resulted in recent decision by the Army Corp of Engineers to deny easement to Energy Transfer Partners to build an oil pipeline under a lake on Oceti Sakowin land without their consent. Indigenous youth activist Bonnie Jean Three Legs is credited for sacrificing much in order to organize the water protectors at Standing Rock. We would like to honor her as well. Watch this clip of Bobbie Jean Three Legs speaking on behalf of the vision of her people, and all people. We also want to honor the youth, and the organizations that represent them: Play for Peace, Xiuhtezcatl Martinez and the Earth Guardians, the International Institute for Child Rights Development, the BlueYouth Project, the American Indian Society for Engineering and Science (AISES), the Peace and Dignity Runs, Nemo Patel and Empty Hands Music, the Centre for Global Education, and Dr. Jane Goodall’s Roots and Shoots. We want to honor the Interfaith leaders at the Agape Spiritual Institute, the United Religions Initiative, and Monica Willard who is the UN Ambassador for URI at the United Nations. And of course, we want to honor the 92nd St Y and #GivingTuesday., the Seat of the Soul Institute, Compassionate Louisville, and Unify for making the Giving Games possible. It is due to all of you that the fire of compassion is burning brightly in these challenging, seemingly darkened days. Thank you for your determined, relentless efforts to bring a vision of a safer, kinder, more just world we know is possible into reality. 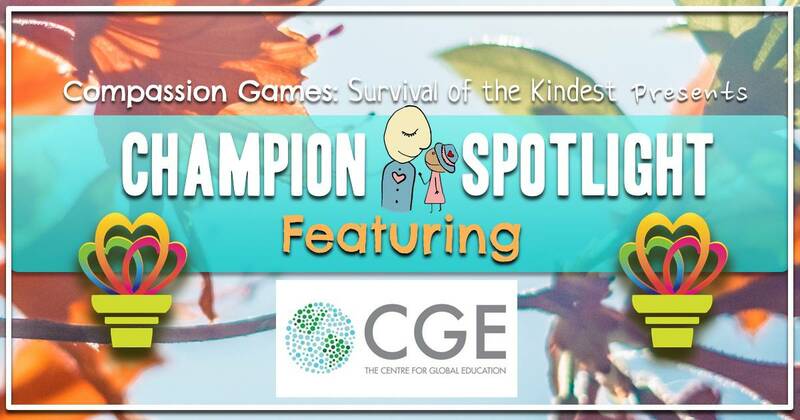 For Day 10 of the Giving Games, we are absolutely delighted to pass the Compassion Torch from Dr. Jane Goodall’s Roots and Shoots to the incredible Terry Godwaldt and his Center for Global Education in Edmonton, Canada. The Centre for Global Education’s (TCGE) mission is to educate 21st Century students for a 21st Century world. TCGE achieves this by providing global learning opportunities, enhanced through connective power of technology, and guided by research that is grounded as well teaching that is highly innovative. TCGE acts as a hub for global education, connecting many exceptional organizations and initiatives together by a common purpose. Since 2006, over 150,000 students from over 400 schools, in 30 countries, have participated in more than 350 conferences, making TCHE the biggest provider of real time high school collaborative programming in Canada; and it sounds like they are getting started. On December 8th, TCHE will be connecting close to 1,000 youth from all across North America, from Alaska to Toronto to North Carolina, to celebrate Human Rights Day. You can join the action and find out more here. 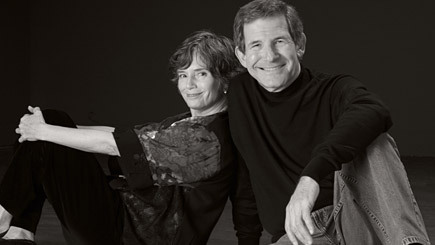 Terry Godwaldt, the founder of the Center for Global Education, is a longtime supporter of the Compassion Games. His dedication to ensuring his students, and students around the world, receive powerful and relevant opportunities to learn is greatly inspiring to us all. His work in reshaping global education has been recognized by the Queen Elizabeth II Diamond Jubilee award as well as the ASCD award for Innovative Teaching. It is with our great privilege that we are able to add to these impressive recognitions with our own humble one, by naming Terry and the Centre for Global Education as pioneering Champions of Compassion. For Day 9 of the Giving Games, we are overjoyed to pass the Compassion Torch from Compassionate Louisville to Roots and Shoots, the youth-led community action organization inspired by the work and guidance of Dr. Jane Goodall! 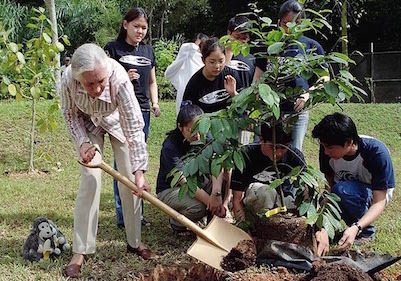 Dr. Jane Goodall and Roots & Shoots members plant trees at the Singapore American School in Singapore. Roots are the foundation of life, plants and human alike. And shoots are these seemingly weak, hopeless expression of life who, in their search for the light of the sun, are capable of breaking right through a brick wall to achieve their purpose! This is how Dr. Jane Goodall describes Roots and Shoots to young people… they are these shoots, capable of unbelievable good and great change, capable of breaking through all of the “brick walls” of our world to make it a healthier, safer place for animals, for all people, and for the environment. Roots and Shoots has thousands of expressions in the form of youth-led community service projects around the world. You can view all of the current youth led projects for Roots and Shoots here. Dr. Goodall never fails to honor the land, and is driven to make are all sentient beings are cared for. This is perhaps why she and Hereditary Chief Phil Lane Jr. are such kindred spirits. Chief Phil, Chairperson of CGI, considers Jane his Elder Sister. The two have spent years working together to protect and stand for Mother Earth, as well as being champions for the voices and action of our young people. We are so, so deeply grateful and honored to pass the Compassion Torch to Dr. Goodall and her inspiring, important organization, Roots and Shoots. May all the shoots of our young people grow strong and true, through any brick wall that impedes their purpose and right to a safe, compassionate planet. For Day 8 of the Giving Games, we are so grateful to pass the Compassion Torch from the Earth Guardians to none other than Compassionate Louisville, a coalition of pioneers blazing the way as a model compassionate city. Compassionate Louisville is a coalition of over 100 bustling, active partners working to transform their city into a model compassionate city the rest of the world can emulate. Each organization of this coalition is a Champion of Compassion in their own right, but together? It’s almost unfair for the rest us! In their lineup, Compassionate Louisville has the (Muhammad) Ali Center, Festival of Faiths, Service for Peace, Fons Vitae, Spaulding University, the Global Game Changers, and Mayor Greg Fischer – the man whose challenge sparked the very beginning of the Compassion Games itself – just to name a few. It also includes the Louisville Islamic Center, which, under the guidance of Dr. Muhammed Baber, is organizing a Compassion Walk in response to the fear about Trump’s election on December 10th. Compassionate Louisville will also be visited in 2017 by His Holiness the Dalai Lama to mark the exciting opening for the International Center for Compassionate Cities. We at Compassion Games are infinitely inspired by the folks who call Louisville their home. And, they aren’t afraid to tell you just how compassionate they truly are, going so far as to say they will visit your cities during the Compassion Games to help YOU beat THEM. Now that is compassionate action at its best. Thank you, Compassionate Louisville, for always bring the spirit of competitive altruism in full force, and for truly being a model compassionate city. Game on! Learn more about Louisville and the Compassionate Cities Movement below! For Day 7 of the Giving Games, we are so deeply grateful to pass the Compassion Torch from the United Religions Initiative (URI) to the Earth Guardians, a tribe of young activists, artists, and musicians from around the world stepping up as leaders, and offering a powerful voice that cannot be ignored. Few forces on planet Earth burn through the red tape of bureaucracy and the divisiveness of politics like the voice of our young people. Free from status, immune to the bias that can come from being entrenched in the complacency of the status quo, young people speak with a startling truth. It is human instinct to listen to the vulnerability and innocence that youth embody. So, what happens when that vulnerable truth transforms into a catalyst for action to protect and restore Mother Earth? You get Earth Guardians. The Youth Director of Earth Guardians, Xiuhtezcatl Martinez (pronounced ‘Shoe-Tez-Caht’) is a 16 year old indigenous climate activist, hip-hop artist, and a profound voice on the forefront of a global, youth-led environmental movement. At just six years of age, Xiuhtezcatl addressed the Rio+20 United Nations Climate Summit in Rio de Janeiro, and went on to address the General Assembly at the United Nations in New York. Xiuhtezcatl is a plaintiff in a lawsuit against the Obama administration for their failure to protect the atmosphere and their future. Among his other work, he has fought locally to get pesticides out of parks, coal ash contained and moratoriums on fracking in his state. Despite his lawsuit, in 2013, Xiuhtezcatl received the United States Community Service Award from President Obama, and became the youngest of 24 national change-makers chosen to serve on the President’s youth council. Need we even say it? When it comes to compassion for Mother Earth and the future of the human family, Xiuhtezcatl and Earth Guardians live in the heart of that spirit. They are not only Champions of Compassion, they are ones we should all pay close attention to, learn from, and support in any way we can. Download the Earth Guardian Climate Leaders Handbook here. Learn more about the Earth Guardian movement here. For Day 6 of the Giving Games, we are excited to pass the Compassion Torch from the International Institute for Child Rights Development (IICRD) to the United Religion’s Initiative (URI)! URI has taken up the Compassion Torch for the second Compassion Games coopetition in a row, and we are continuously inspired by their work to bring interfaith peace to reality. This mission is carried out through local and global initiatives that build the capacity of more than 600 member groups and organizations, called Cooperation Circles, to engage in community action such as conflict resolution and reconciliation, environmental sustainability, education, women’s and youth programs, and advocacy for human rights. On September 19th, in the Global Unity Games, the United Religions Initiative accepted the Compassion Torch from the Parliament of World Religions. They then passed the Torch to Compassionate Louisville, a model Compassionate City four years in a row. Having the Parliament and the United Religions Initiative pass the Compassion Torch was such a great example of Global Unity in action. Thank you to Molly Horan and Isabelle Ortega for working together to make this happen. You can watch the Torch passing in the following video of a Zoom call in which the Compassion Torch was passed. For Day 4 of the Giving Games, we are humbled to pass the Compassion Torch from Play for Peace to Nimo Patel’s Empty Hands Music. Empty Hands Music is not your everyday organization, and its founder, Nimo, is not your everyday founder. If you haven’t heard of Nimo Patel, lean in with us, because his story, like his spirit, is one of a kind. Nimo went from an Ivy League education to a career on Wall Street, to fame and fortunate as a Rap star on MTV. It’s a life that too many believe leads to one’s happiness. Nimo realized it wasn’t such a path, far from it. And so he dedicated himself to step away from a path of suffering toward a path of compassion and service for others. For the past five years, Nimo has been living in Gandhi’s Ashram in India serving and working alongside underprivileged communities to fulfill this purpose. The Empty Hands album by Nimo is a free gift to the world. You can download the full 10-track labor-of-love here for free! Allow the songs of love to embrace your heart, mind and soul! Nemo is clearly a Champion of Compassion, and a humble one at that. Thank you for being a conduit of generosity of compassion through your service and gifts. For Day 2 of the Giving Games, we are deeply thankful to pass the Compassion Torch from #GivingTuesday to Monica Willard, the United Religion’s Initiative of the United Nations Department of Public Information. With the generous guidance of Monica Willard, the UN has provided continuous support for the Compassion Games from its inception. The Department of Public Information (DPI) was established in 1946 by a General Assembly resolution to promote global awareness and understanding of the work of the United Nations. DPI pursues this goal through media of all forms, from radio, television, print, the Internet, video-conferencing and many others. DPI’s goal to partner with diverse audiences as it builds support for peace, economic development, and human rights around the world make it an important and powerful ally for the Compassion Games. Our dear friend, Monica, works closely with the International Day of Peace, a UN initiative that provided the ceremonious end date for the Global Unity Games on September 21st. It is with the Global Unity Games that Mrs. Willard first began her partnership with Compassion Games. For over three years, Monica and her community in Bethlehem, Pennsylvania have participated in the Games, with thousands of volunteers from URI and her local community serving countless members of their community and world. Monica and UNDPI are extraordinary Champions of Compassion, and very bright lights for our world. It is for this reason we celebrate our partnership and friendship with them by passing them the Compassion Torch. Game on! You can learn more about DPI here. Learn more about URI here.